We started this blog to stop arguments about where we had been and what we had thought about the few restaurants there were in Brixton. Now choosing favourites is very difficult in the extensive gourmet landscape which is now Brixton. Our only rule was not to visit chain restaurants like KFC or Macdonald’s but then there was an explosion of pop-ups which encouraged other more permanent eateries to set up. 1. Cornercopia – in Brixton Village and serves local food now in racione style portions (a bit bigger than a tapas) and you choose 5 or 6 to make a meal. The menu changes rapidly encouraging more frequent visits than many of the other pop-ups. The new pop-up cocktail bar is a great addition as is the location. 2. 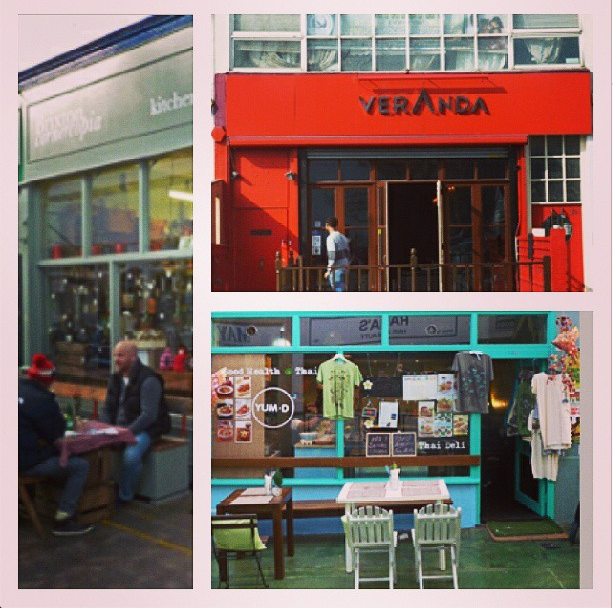 Veranda – on Acre Lane and a different kind of Caribbean food. This is a step up from take-away jerk chicken and has a selection of staples like rice and peas but much more delicious than any I have tasted before. Cocktails are again available and cheaper early in the evening. 3. Yum-D – If you want the best Thai food in Brixton this is without doubt the place to come. In Market Row it’s small but unassuming and friendly. They deliver on the classics and then some with authentic flavours. The only reason I thought twice about including it here is that at present you rarely have to queue. 4. Negril – Located halfway up Brixton Hill , this is a favourite for a night out. The atmosphere is relaxed and so is the service, so you get plenty of time to enjoy the food. This is serious traditional Jamaican style cooking, the best in Brixton in our experience. It’s popular, so book if you are going in the evening. 5. El Panzon – From nachos laden with jalapeños, cheese and guacamole to custom made burritos, tacos and quesadilla’s El Panzon is the only place to go for Mexican in South London. With two floors and an outside seating area it’s also place in Brixton Market where you are almost always guaranteed to get a seat. Good value at around a tenner for a meal, I just challenge you to try their self-proclaimed ‘Don’t Come to Me Crying’ hot sauce. 6. 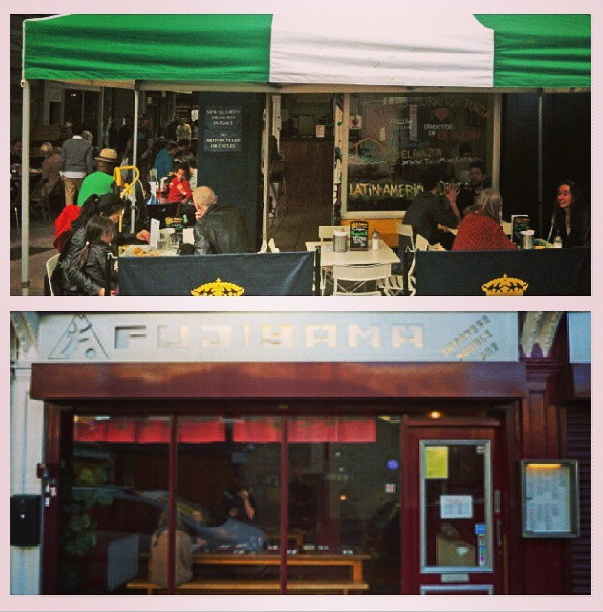 Fujiyama – Perfect for a quick bowl of ramen or katsu curry before a film at the Ritzy. Fast, cheap and easy (although sometimes it can be hard to get the attention of the waiters). They also do the best prawn tempura rolls I’ve ever tasted. 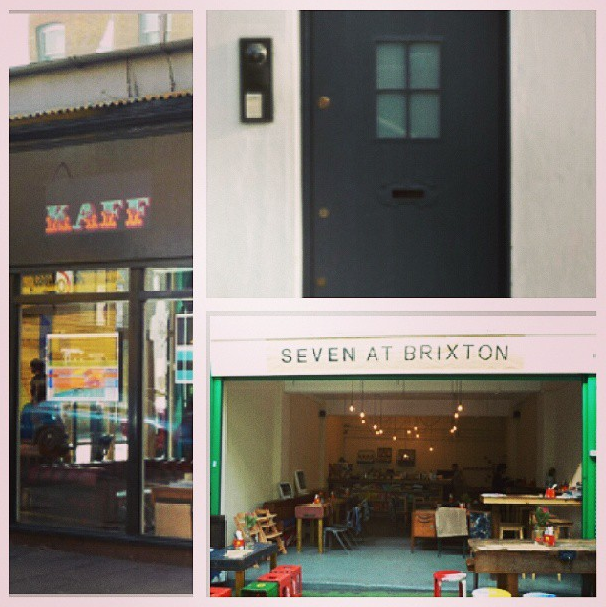 For one week we allowed the public to vote for their favourite place to eat in Brixton. 1. Upstairs – the fanciest place to eat in Brixton. Just up Acre Lane this restaurant it is hard to find which makes it even more special . The hidden door for the initiated is on Branksome Road. ~ this is a restaurant for an occasion. The modern French/English menu changes regularly and if you really can’t choose there is often a “tasting menu”. Everything is well cooked and interesting. But do not expect to go in a crowd as this is a cosy and intimate setting on two floors of a terraced house. We think it is a well deserved winner. 3. Seven – The best value cocktails you’ll find in the South West area. The sharing tapas menu also makes this brilliant way to spend an evening catch up with a group of friends. < Previous What’s your favourite place to Eat in Brixton? Many thanks for this wonderful service you have done to Brixton and for the many of us. It makes good reading and even better eating. May you never run out of good new places to write about, or good new things to write about old places.